On Saturday, June 25th, BRAC Students, Parents, Friends, Families and the Bronx community are invited to join us in our front garden at the Bronx River Art Center Headquarters, for an afternoon of celebration of our students and the great work they've created over the past program year. This day is also an opportunity to thank the community for supporting us, as well as all of our community partners that have hosted us and worked with us to keep our programming running while we have been out of our building for its renovation. 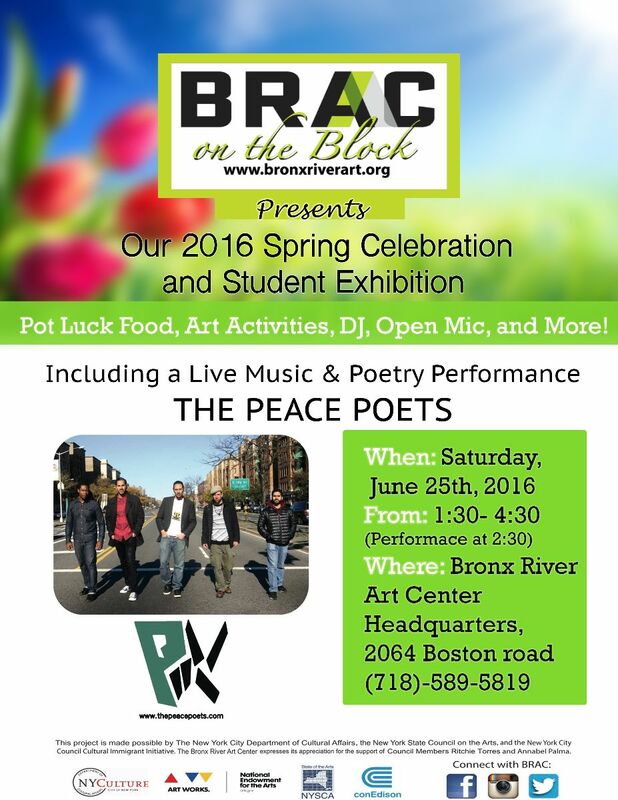 Please join us on Saturday the 25th of June to support our Bronx youth and the value of Art Education! The exhibition and celebration will run from 1:30 - 5 PM, with The Peace Poets performance beginning at 2:30 PM. 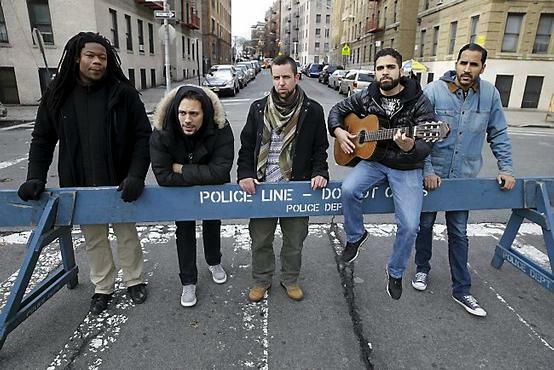 The Peace Poets are a collective of artists that celebrate, examine and advocate for life through music and poetry. In support of our Cultural Immigrant Initiative programs, funded by Council Members Ritchie Torre and Annabel Palma, they will address issues of cultural identity and the immigrant experience, especially in relation to the rapid increase of the immigrant population in the Bronx today.